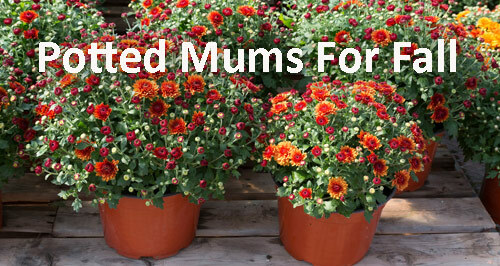 If you are considering changing out your summer containers into fall planters and just visited your local garden center you will see there are a lot of garden mums in multiple colors to choose from. White, Yellow, Pink, Lavender, Red and Bronze are all in full bloom. Here are a few tips that may help so you can keep your fall garden containers looking good till Winter. 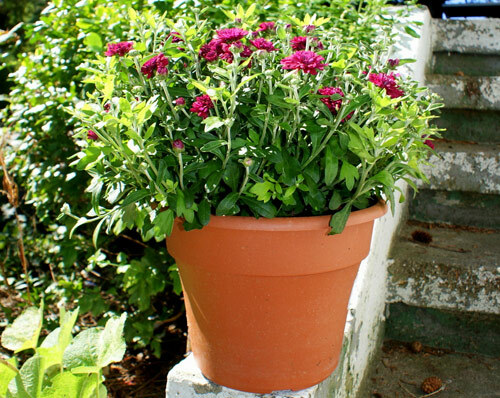 Fall mums are great for garden pottery during the cooler Autumn months. Their colors compliment all other plant materials like ornamental kale and cabbage, cornstalks, rustic grasses and evergreens. When shopping for mums looks for plants with buds that are just starting to open. These will last approximately 6 weeks. As your potted mums start to grow, look for spent blooms and prune when they are faded and dried looking. Remember to water your potted mums regularly. 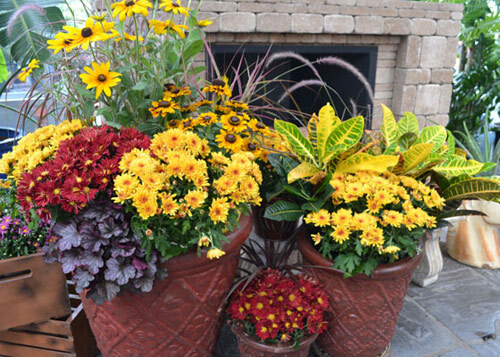 Fall mum containers will stay prettier and be happier if they don�t dry out. 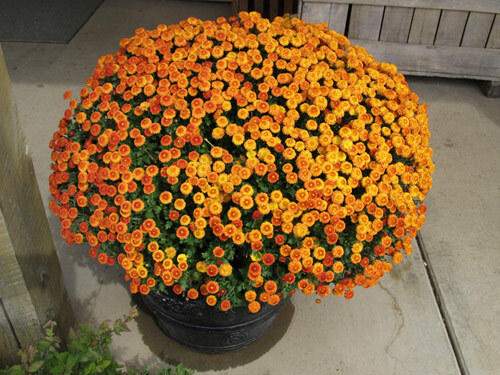 You won�t need to fertilize your mums since the grower has already taken care of. If you prefer to keep your potted mums indoors then place the vase near a window with indirect light. Check for moisture and keep them watered but not soggy. That pretty much is it. 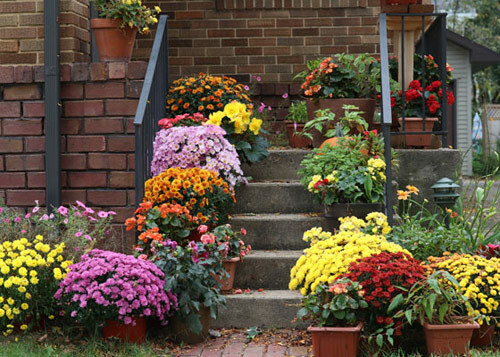 Fall mums that are planted in your garden pottery are the easy and colorful solution.